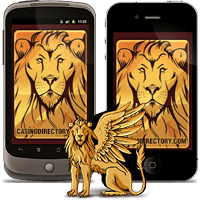 Online casinos believe that the word of mouth advertising is very strong. Therefore, they offer special type of bonuses called refer a friend bonuses. To claim such bonus, you, as an online casino player at a particular casino, need to tell your friends about the casino and invite them to join. If they agree, both you and your friends will receive a bonus. However, things are not that simple. For example, your friend has to make a deposit to get the bonus and in some cases wager it before you can get your refer a friend bonus. That is why you should always read the terms and conditions of all casino bonuses. With the refer a friend bonus both you and your friend get a bonus of particular amount from the casino. In a way, the casino says thank you for inviting friends to join and thanks your friend for signing up. However, it is always advisable to carefully read the terms and conditions of this bonus especially its restrictions and wagering requirement. When you invite a friend to join a casino you are already a member, you get free bonus amount usually ranging between $10 and $50 you can use to play games. Your friend also gets a bonus of certain amount he can use to play different types of games at the casino. In some cases, he also has the chance to claim additional first deposit/ welcome bonus. When do you get the bonus? You get the bonus as soon as your friend signs up with the casino, makes a deposit and starts playing games. Additional rules may also apply. You must be a casino member to refer friends to the casino. To refer a friend, click on the Refer a Friend tab and enter the name and e-mail of your friend. Your friend has a limited period of time to register a real money account with the casino and make a deposit of particular amount in order to claim his/her bonus. In some cases, after your friend makes a deposit, you both immediately receive a bonus. However, in some casinos, your friend must wager the deposit and bonus a couple of times before you receive your bonus. The refer a friend bonus cannot be cashed out once you get it into your account. It is subject to particular wagering requirement. Depending on the casino you may refer only one friend or a couple of friends over a particular time. There are many online casinos that offer refer a friend bonus. 888 Casino for example gives $100 refer a friend bonus to you and $50 bonus to your friend. He/she can also take advantage of the 100% first deposit bonus up to $200. Your friend has 30 days to create and account and deposit up to $100 as well as make a total bet of 30 times the $100. The bonus is also subject to 30x wagering requirement. EuroGrand Casino gives $50 refer a friend bonus for every friend that signs up with the casino and makes a deposit. To claim the winnings made from the bonus, you have to wager at least 12x your bonus amount. Every friend who joins the casino has to make a deposit of at least $50 and wager at least $50 or 100% of their deposit for you so you can receive your bonus. Slots of Fortune Casino also gives $50 refer a friend bonus. To claim the bonus both you and your friend have to make at least one deposit. The bonus is subject to 30x wagering requirement.